On March 31, 1909 the hull of one of the largest passenger ships in the world was started at Harland and Wolff shipyard in Belfast, Ireland. Exactly two years later, on March 31, 1912 the final fittings were completed, readying her to set sail the following week. It was the pride of the shipbuilding area. But, just before midnight on April 14, 1912 the floating luxurious palace known as the RMS Titanic struck an iceberg and less than a few hours later sank into the North Atlantic Ocean taking over 1,500 people with her. Not only was this the greatest maritime disaster ever seen at that time, but it was a blow to man's arrogance when they boasted that 'not even God could sink her.' This upcoming year, 2012, will mark the centennial anniversary of that tragic but historic event. I can't help but think it would be a cool venue to have a book launch for The Depth of Deception, my Titanic murder-mystery thriller novel. That floating city continues to fascinate us, doesn't it? Recently, drawings used at the Titanic inquest in 1912 were sold at an auction. One drawing of the entire cross section of the ship sold for 220,000 pounds ($363,000 USD). 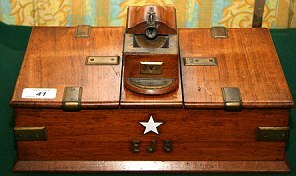 In related news, the cigar box, with the White Star Ship logo, that was owned by Captain Edward John Smith (Titanic's captain) was sold for £25,000 ($39,000 USD). This novel is an important clue in my above mentioned historical-thriller, Depth of Deception. Coming soon - April 2012. My novel Depth of Deception (A Titanic Murder Mystery) can now be purchased at an introductory rate of $0.99 from Amazon at http://www.amazon.com/dp/B007O3IKTY as well as in other e-book formats from Smashwords at https://www.smashwords.com/books/view/144531. On the morning of May 18, 1897 Bram Stoker staged a dramatic reading of his soon-to-be-published vampire novel. Since it still wasn’t certain which title the publisher was going to use, Bram entitled his reading, Dracula or the Un-Dead. Bram Stoker preferred The Un-Dead but the publisher wasn't so keen on the word 'dead' in the title. Bram hastily prepared the script for his dramatic reading using proof copies of the novel's text. He altered the text for the stage and made changes that would meet Lord Chamberlain’s requirements. As the royal censor, Lord Chamberlain could order an offending word, line or scene stricken from a script, or could even ban a play completely by refusing to license it for performance. 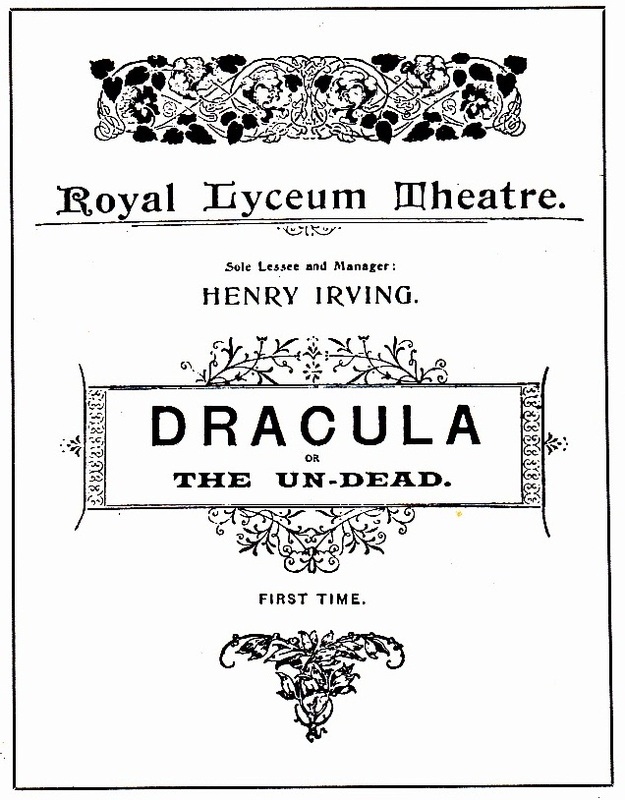 The dramatic reading script did not have time for a polish or edit and using 15 actors from the Henry Irving company, Bram Stoker staged a one-time performance that lasted over four hours. Eight days later, the novel Dracula was published. 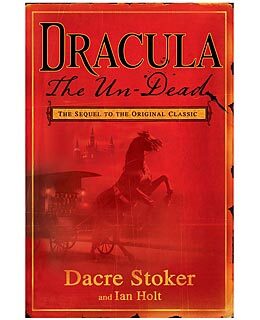 Though not a commercial success in Bram Stoker's lifetime it has become the highest selling fiction novel in the world and has never been out of print. 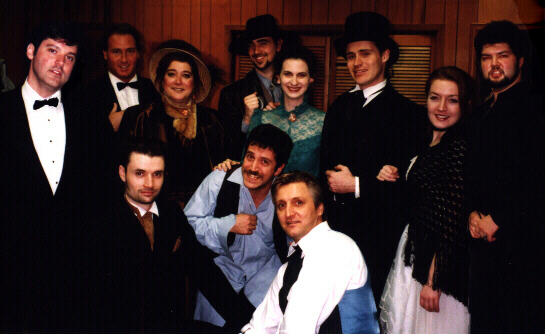 Over the years I have directed various ‘Dracula’ projects including a Dracula short with Mickey Rooney narrating as Van Helsing and in 1997, the centennial year of Bram Stoker’s Dracula, I re-adapted and re-staged a (shorter) dramatic reading in the style that Bram had done 100 years earlier, using actors in costumes and this time adding live music for underscoring. 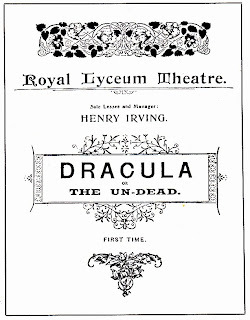 For publicity I spread a rumour that Bram Stoker had re-staged his reading of Dracula here in Toronto while managing Henry Irving's North American tour. There is no evidence that Bram had ever staged a second reading of Dracula. Years went by and I found myself working on Dracula the Un-Dead, the official sequel to Bram Stoker's novel. 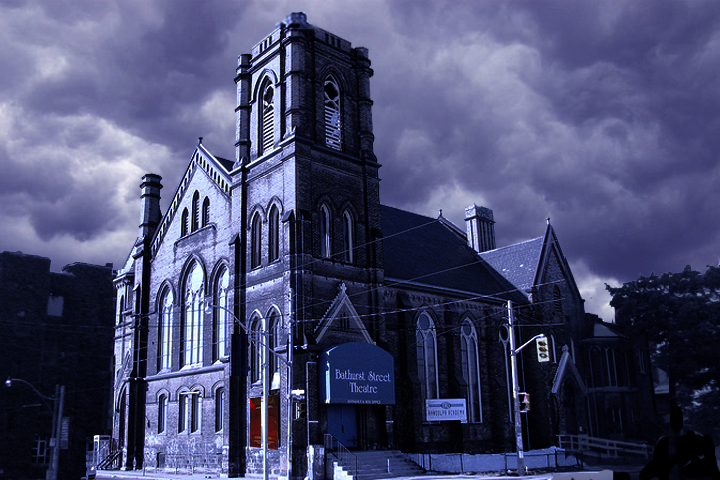 I suggested using the Bathurst Street Theatre in Toronto. 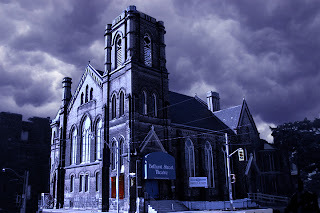 Since it had been built in 1888 as a church, it had the right ambiance for the new gothic story. 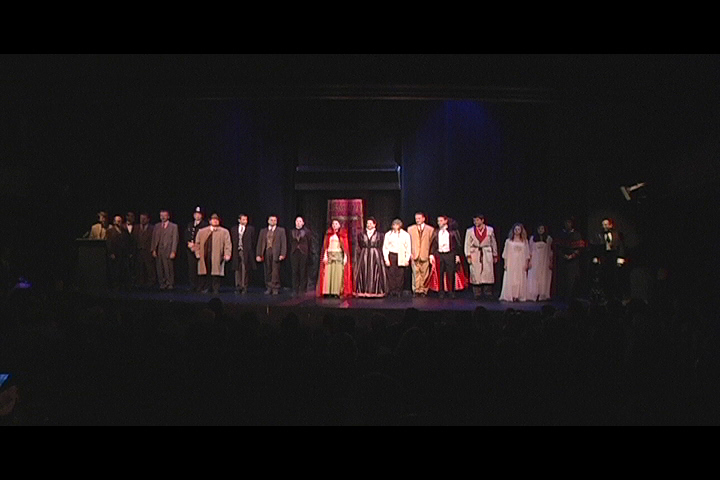 The one night performance would take place just before Halloween on October 28, 2009. We wanted to make this a spectacular event for a modern audience. Having learned from my previous reading that the audience had trouble feeling for the death of a character when they could still see the actress drinking bottled water right in front of them on the stage (as is normally done in dramatic readings), I decided we were going to have entrances and exits. Using my experience of mixing projections with live productions we used a new effect called a Fogscreen, which literally created a curtain of fog using ionized water particles to project onto. The result was amazing. Even when projecting a newspaper headline it could be clearly read on the fog. Actors were able to enter through the fog with minimal image displacement and without getting their costumes wet either. The period costumes were provided by award-winning costume designer Alex Amini, whom I've worked with many times on several of my stage and film productions. Eighteen incredible actors were used to bring Dracula The Un-Dead to life, some had been involved with my 1997 Dracula reading (ie. Carmen Gillespie, who played Mina Harker in both and like her character in Un-Dead, had not aged in that time). The whole performance was underscored by haunting live music composed by Kieren MacMillan. Dacre Stoker and Ian Holt were there in person and acted as narrators. The 2009 cast of the dramatic reading of Dracula the Un-Dead. The result was a magical night. We had only sold 18 advance tickets but on the night of the performance approximately 500 eager people showed up. The performance ended on a cliffhanger moment with a 'To be continued... in the novel' projected, which resulted in a huge line-up to buy copies to have them signed. All in all a very successful evening. Our full house became the largest book signing and sales event for Dracula the Un-Dead's publicity tour. The Cadillac Hotel (seen in the above photo) was on the northeast corner of Broadway and 43rd Street. Built in the 1880's, it was originally known as the Barrett House and became the Cadillac Hotel in 1898. It was renamed in 1914, then torn down in the 1940's. Today an office tower stands in its place. The New York Theater on the left was originally called Hammerstein's Olympia - The Music Hall which opened in 1895. The Ziegfield Follies performed here for five years and many other famous musicals ran here as well. Another historical note worth mentioning: the Biograph Company's first Mutoscope "peepshow flickers" (early risqué movies) were premiered here in 1899 which set off the 'moving pictures' craze. In 1915 the New York Theater was taken over by Lowe's as a movie-vaudeville house. The theater was demolished in 1935. Now there is a three-level Toys 'R Us store. This photo was one of many old pictures that I used for historical research while I was writing The Depth of Deception (A Titanic Murder Mystery Thriller). I find it personally interesting to stand in the place where that photographer stood, and observe what has remained the same and what has changed. The fun of historical research! There is a lottery for $50Million. There is another one here in Ontario for $100,000 a year for life, which is more than most people make in a year. 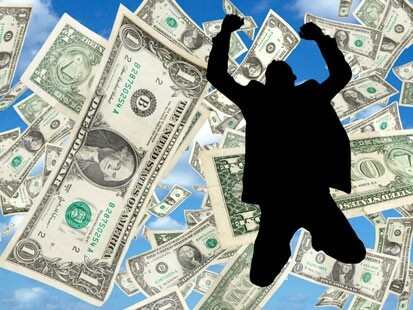 My wife asked me, "What would you do with your time if you won the lottery and no longer had to worry about earning money?" The first thing that came to mind was to travel to England to do some additional research for my next novel. So if I were to win the lottery, I would still want to write. I would still be a storyteller... with less stress. What would you do with your time if you won the lottery? Write a novel in three days? It's Labour Day weekend, and I'm reminded of another Labour Day weekend from 2006. While most of my friends were outdoors enjoying the last days of summer, I was inside figuratively chained to my computer taking part in the 3-Day Novel Writing Contest. The contest itself first began in 1977 and has continued every year over the Labour Day weekend. There is an honour system of rules. No one is watching you to see that you don't start before midnight but after so many years, they can tell when someone has cheated and not kept within the 72 hours. In the end, the writers are not necessarily competing against each other (even though there are three top prizes) but rather the competition is with themselves. 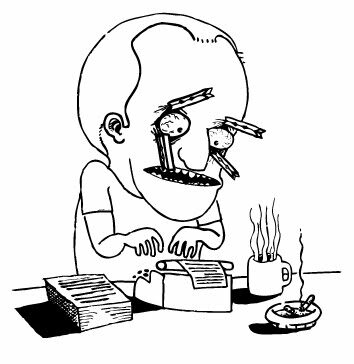 Just the insane thought: Can I write a whole novel in three days? (http://alexander-galant.blogspot.com/2011/07/inspiration.html), that the inspiration for my novel, The Depth of Deception, came from a tabloid headline I had seen 16 years earlier. So I put together a rough outline with all the plot points I wanted to cover and the ending. That was key. I've never been able to write a screenplay or story unless I had the ending first and knew where I was going. Day One - At the stroke of midnight I began typing. My wife was completely supportive and was looking after our one-year-old daughter while I embarked on this crazy venture. Since I was normally the cook in the family, my wife purchased a weekend stock of frozen dinners and easy to make lunches and made sure that I ate. After many years of working together in theatre she knew I would forsake eating to get the job done. I had also e-mailed all my friends and colleagues and told them what I was doing and to not bother, call or e-mail me for the duration of the long weekend. Using the my outline as a guide, I felt I was off to a good start. I didn't get as far as I had hoped but the main characters were becoming well defined. Day Two - From my years of going to school during the day, theatre in the evening and working the graveyard shift at a variety store, I learned that I could survive with short 20-minute power naps. I employed this technique to survive this weekend (it was easier when I was eighteen). Still the 20-minute naps would give me a few hours of focused writing time. The contest's website stated that this is usually the time that "the outline may be discarded". This was not the case with me. I was right on track. Every once in a while my wife would check that I was still breathing and bring food. Day Three - One nap was longer than I had intended and I was now behind. I was typing furiously, very glad I took that typing class in high school. (You can't do something like this with the hunt-and-peck-typing-system.) As I was writing I was becoming increasingly aware that everything was moving too... conveniently. On the screen it was clear who the antagonist was and their comeuppance was foreshadowed too soon. Suddenly there was a surprise twist. It was such a surprise that I didn't see it coming until my fingers stopped typing and I read what I had just written. I had killed off a major character. I didn't intend for that to happen. They were supposed to be triumphant at the end. I looked at the screen again. They were dead. Of course, the easiest thing to do would be to backspace and delete that last sentence. But I couldn't. I stared at it. It made sense. It was essential. It threw doubt onto who was good and who was bad. I looked at my one-page outline and crumpled it up. It no longer applied. I got up and went to the living room and calmly told my wife, "I just killed off a major character." "What?" she blinked. She asked me a couple of other questions and I think I answered but I can't be sure. I looked at the clock on the wall. It was past seven o'clock in the evening. I had less than five hours left to complete the novel. "I have to take a walk," I said to her. "I have to figure out what's going to happen next." I didn't go too far. I could feel the effects of sleep deprivation on my body and did not trust myself crossing the street. So I walked around the block... many times. I recall talking out loud to myself, sometimes as the characters, figuring out the dialogue and the consequences of what had happened in my novel. I'm sure to any passerby, I looked insane talking to myself with no newfangled Bluetooth, hands-free cell phone in sight. After a short while, I returned to my computer and typed away as fast as I could. By this point, spelling, grammar, character development, and even scene description become immaterial. The main driving goal was to be finished writing by midnight. I finally reached the end of the novel. I looked at the clock, there were 13 minutes left to go. I hit 'save' so that it would be date-stamped with the actual time, proving that I had completed it in the allotted time. I woke up my wife so she could witness the momentous occasion and sign the form as a witness that I obeyed the rules. About one minute after midnight I was in my own bed and sound asleep. The next day, I sent in my manuscript with the title, The Unthinkable - playing on the ironic nickname of the Titanic being "unsinkable". It was 77 pages long and contained a total 17,487 words. It was full of spelling mistakes and errors. My tenses were inconsistent. Still, I was very pleased with myself for having completed a manuscript in three days. A few weeks later I met a handful of other 3-day Novel Contestants from the Toronto area at a pub for drinks. We were all asked to bring our first chapter to read to each other's work. It was very interesting to see the different genres that were tackled in this contest. When I read my chapter, it intrigued them. They wanted to know was going to happen and suggested I pursue getting it fleshed out to a point where it would be published. One other writers took a poll and asked how many of us were procrastinators. We all put up our hands. She concluded that this was the appeal of the 3-Day Novel Contest. It was to conquer the procrastinator inside of us and prove to ourselves that we can do it. I don't know if it applies to all writers but it certainly worked for me. It worked again in the fall of 2010 when my agent at Writers House, echoed the opinion that Unthinkable should be fleshed out into a full length novel. 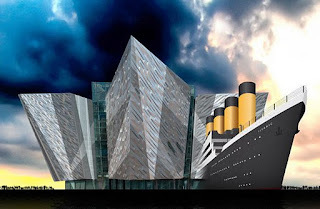 Since 2012 will be the centennial anniversary of the sinking of the Titanic and James Cameron is re-releasing his blockbuster movie in 3D, my thriller novel connected to the Titanic would be very marketable. She challenged me to expand it from 25,000 words (I had made corrections and added details before showing it to her) to over 60,000. Though she said she'd prefer over 80,000. I picked up the gauntlet and worked towards an agreed deadline. Six months later I sent her the re-titled, 381 page novel with 90,351 words. My agent read it over the memorial-day long weekend and loved it. She said the pace and the suspense made it the perfect book to read at a cottage or beach. So, to answer my original question: Can I write a novel in three days? Yes. It may not be perfect but it was proof of what I can accomplish when I put my mind to it. A favorable review of my short film, Star Wars: Blasted Behavior, for the screening at DragonCon in Atlanta tomorrow. You know the old saying, 'You can't judge a book by its cover." Well, let's test that out. Looking at the cover in the above photo, can you figure out what the book is about? There is a very large iceberg and the image of a familiar ocean liner sinking into the water. 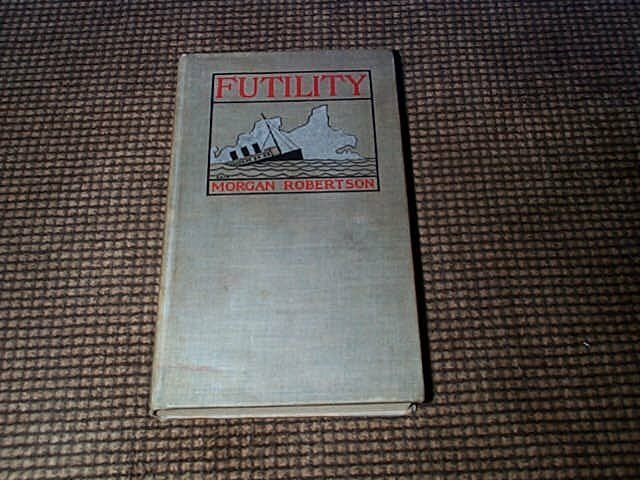 If you guessed the book, Futility, is about the infamous ill-fated ship, RMS Titanic - you would be wrong! In fact, this book cover was designed and published in 1898 - fourteen years before the Titanic set sail. But the irony doesn't stop there. The ship in the above novel was called: Titan. Both the fictional Titan and the real Titanic had many striking similarities: both were considered to be 'unsinkable', both were over 800ft long, both were moving too quickly (Titan: 25 knots, Titanic: 22.5 knots) on a cold April night, both hit an iceberg on the starboard side, both sank 400 miles off the coast of Newfoundland and neither of them had enough lifeboats for their 3000 passengers and therefore both had a tremendous loss of life. It is one of the strangest cases of life imitating art. After the sinking of the Titanic in 1912, the novel Futility was re-printed with an extended title, Futility or the Wreck of the Titan. The publishers wanted it in the title to capitalize on the recent sinking of the Titanic. It has had the extended title ever since, which is what makes this original 1898 edition so rare. This one pictured above is not mine, but it is for sale at about £10,000 ($15,574.01 USD). It is in tremendous condition for a 114 year old book. If anyone is seriously interested, I can give you the contact information of the private seller, who seems like a very nice guy. The book Futility becomes an important clue in my historical-thriller novel, The Depth of Deception (A Titanic Murder Mystery). So what does a writer do while he waits to hear back if his book will be bought by any publishers? Well, the best idea was to start work on the next novel. After all, when I met with Michele (my literary agent in NY) regarding my current book that she sent out, she asked, "What's next?" I'm doing research. The book is set in two time periods: Victorian London and present-day New York. I've amassed a great deal of research material about Victorian London, including old maps, photos, language styles and etiquette. I used some of this information for Dracula the Un-Dead. At present I'm researching the 'profiling of serial killers' (not light bedtime reading). This is not just to get into the mind of a serial killer, but, more importantly for this novel, to get into the mind of a profiler. 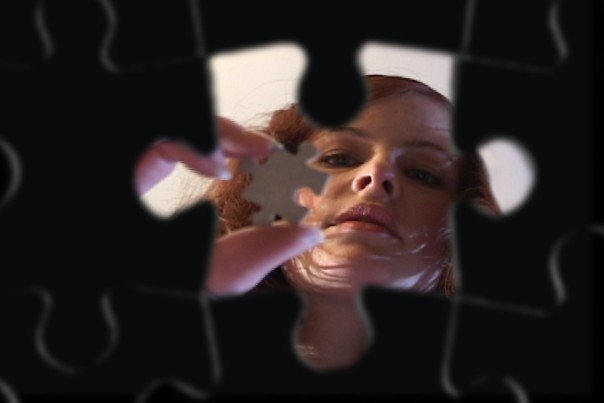 The protagonist in my next novel is a profiler so in order to find her authentic voice I need to find what motivates one. I have ordered some books that detail some profilers' case studies, and it's been quite fascinating to read the train of thought of a profiler as they explore the darkest side of humanity. 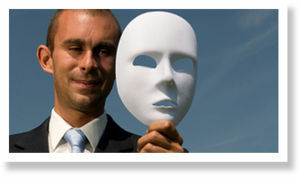 Psychologist Carl Jung believed that everyone has a darkness or shadow inside of them. He also said, "Knowing your own darkness is the best method for dealing with the darknesses of other people." Real life is very different from the neat and tidy crime-fighting format that you see on certain current TV shows where the murder is solved and the sociopath brought to justice. More often than not, killers are still out there because the law interferes with justice. Police departments and District Attorney's offices refuse to listen or re-examine the evidence. Reading these cases, it's hard not to get infuriated by narrow-minded pigheaddedness. Something I can relate to, on a lesser scale, as I've experienced the law enforcement's impotence when I was a victim of fraud. Even though I had a huge papertrail of evidence, the local police, the FBI, the RCMP, NYPD and the District Attorney's office of New York were not interested in helping me... they just passed the buck or ignored me. I can't even begin to imagine how that must feel for the profiler or the victim's family when the 'Law' allows a killer to roam free because there is no rule or law that states they have to investigate a crime even if it's inconvenient for them. Profilers encounter these issues all the time, and yet they carry on. I try to be analytical as I read of some horrific murders that have taken place and the facts are far more disturbing than anything I've seen on television. Now, as I try to create my fictional killer, one thing that is clear from these cases and from the most diabolical figures from history: evil people don't see themselves as evil. In their own sick, twisted way they are doing what seems logical in their minds. As an author I have to find that truth in the motivation of my character. When Robert Bloch wrote the novel Psycho, which was later adapted into the famous Alfred Hitchcock film, he loosely based the character of Norman Bates on some newspaper articles he found about the serial killer Ed Gein. The newspapers at the time did not publish the gory details of Ed Gein's murders and mutilations. Only after his novel was complete, did Robert Bloch finally read all the ghastly details. There was one startling similarity that Robert Bloch created for Norman Bates that Ed Gein actually committed. Art imitating life by chance. It was so disturbing for the author that Robert Bloch couldn't look at himself in the mirror just after that discovery. I put my research down, and go watch a sitcom on television to try to shake it off. But it's hard to do. I make some notes, then go check on my daughter who is asleep in her room. At six years old, she still sleeps with a night light on, and insists that her closet door be kept shut. I understand. I recall as a child fearing the monsters that lurked under my bed. Eventually l grew out of it and learned that there are no monsters under the bed or in the closet. No green, hairy fanged beasts with horns. The real monsters look like the person down the street, and rarely have a 'sinister' look to them. Here's the YouTube link to my updated directing demo reel. Even when making a film, it can be useful being a historical researcher. The past has so much to teach. When writing our Star Wars spoof, we wanted to have a cameo of Yoda via hologram projection as a Keynote Speaker for this Group Therapy session. We also knew that we wanted Yoda to be a puppet as he originally was, rather than computer generated animation. My wife has been a puppeteer and we have a few friends who build puppets. The tricky part was, as an entry to the Atom Film Star Wars Movie Challenge, anything 'Star Wars'-related appearing in the film had to be officially licensed by Lucasfilm. We did have Han Solo's blaster, a Lucasfilm licensed toy, originally bright red so that no one is fooled into thinking it's a real laser blaster... my wife painted it to look like the blaster in the film. Likewise, the lightsaber handles were licensed toys that were modified for sword-fight choreography. Yoda was more of a challenge. We ordered a couple of different licensed Yoda puppets from e-bay. While we were waiting for them to arrive, we picked up a Yoda mask from a local costume store. Did a few camera tests with the mask... it so didn't work. Not at all. One of the puppets that arrived was ugly but could be workable. The problem was that his 'hair' was moulded rubber, as were his clothes. With the help of Meghan Sullivan, a colleague I had worked with on a few films, we created new 'clothes' for Yoda, added crepe hair and modified it so that the mouth would move. It became a decent working puppet, just much smaller than Frank Oz's original. We hoped the holograph effect would hide any flaws. Then came the challenge of how to do the hologram effect. 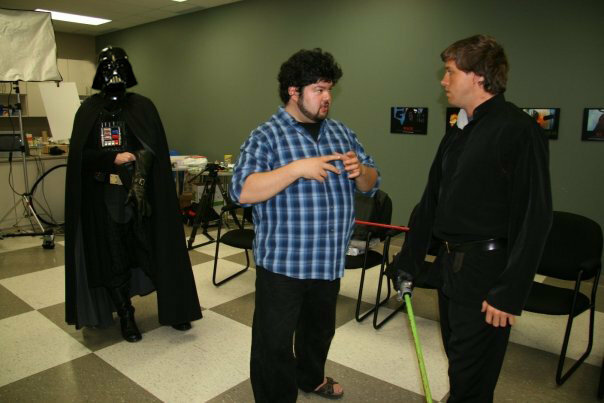 I already had a friend and great visual effects artist, Paul Stodolny, doing the lightsaber effects. He did an amazing job, taking the edited footage and adding each glowing light beam ... frame by frame. (Think about that for a moment. There are 30 frames per second.) Everyone involved in the project donated their time for free, so there's only so much I can impose or ask. I went on-line and Googled "Star Wars Hologram projection effect". I found a link to a 47-page document explaining how to create the illusion in Adobe AfterEffects. Forty-Seven pages! It detailed a ridiculously long and time consuming plan to replicate the hologram illusion. There had to be a better way. After all they didn't have AfterEffects... or even computers back in 1976 when they were filming Star Wars. How did they do it then? Then I remembered my wife (a huge Star Wars fan) had a book from her childhood that had some 'behind the scenes' info and pictures from the original film. And 'yes' she still had this book. Looking through it I found how the fledgling FX crew that would eventually form Industrial Light & Magic created the holographic effect. They filmed Carrie Fisher against a blue screen, then took that footage and transferred it to video (also a new medium unheard of by many consumers). They then connected the video player (which in the 70's looked like a reel to reel player) to a TV set and played the footage while filming the TV screen with their movie camera. As I mentioned above, video plays back at 30fps (frames per second), a film camera shoots at 24fps. The frame difference causes that horizontal flicker effect that you sometimes see on movies where they didn't sync the playback. Then using optical effects, they super imposed that flickered image of Carrie Fisher into the scene. I was using a Panasonic DVX 100 to film my Star Wars spoof and was going to be shooting 24fps, so that it looked less like video. Using the technique from the past we filmed the Yoda puppet on a blue screen and repeated the process as George Lucas' crew did in 1976. The final result was perfect and took a fraction of the time the Adobe AfterEffects would have taken. A small example of how to learn from history and that some answers can be found in books, not just the internet. 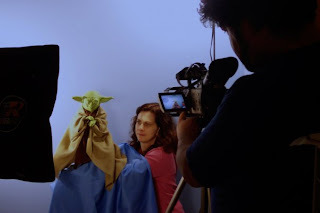 Filming the Yoda puppet for Blasted Behavior. My spoof short film, Star Wars: Blasted Behavior has been accepted to the 2011 Dragon*Con Film Festival (a huge Sci-Fi & Fantasy convention) in Atlanta, Georgia. I would like to go, but unfortunately I can't seem to get a hotel room for this event, being held over the Labour Day weekend. Blasted Behavior has been doing well. My wife and I wrote it together in one day, and three weeks later, with the help of many of our talented friends, we shot it in one day, too. We did it primarily to enter the 2008 Atom Films Star Wars Fan Movie Challenge. After rushing to get it edited in time, we uploaded it to their website on the final deadline date. Unfortunately, due to so many others uploading at the same time, their system couldn't handle it and my film was one of many that simply didn't get there. We re-submitted the following year and were thrilled that Blasted Behavior was one of the finalist films in 2009 (George Lucas was one of the judges). 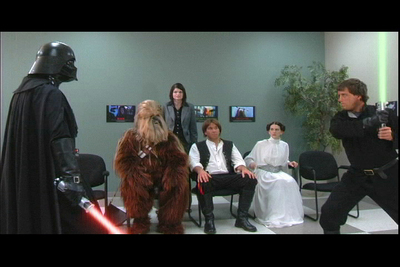 In our spoof, the main characters from the original Star Wars Trilogy find themselves in a group therapy session. Unfortunately, these characters have unresolved "issues" and before you know it tempers flare and the lightsabers ignite. To prepare, I watched the original 1977 Star Wars film and muted the sound so I could study how George Lucas framed his dialogue and lightsaber fights in order to duplicate the look for my spoof. Then I went out and bought a blue plaid shirt, like Lucas', to wear while I was directing. Kevin Robinson played Luke Skywalker with eerie attention to detail, and Erik Buchanan braved the full Darth Vader armour with grace. Both men are fight choreographers who put together a terrific lightsaber battle for this film that they should be proud of. Our film's music was scored by Graeme Wearmouth, who duplicated the famous John Williams Star Wars opening and end credit music, and expertly incorporated the main theme into the lightsaber fight. In 2008, it was unclear if there was a limit to how much of John Williams' music we could reproduce, but when we re-submitted in 2009, we found that we were only allowed to use two 59-second sequences. So Graeme had to go back and re-score to comply with the new rules. Although he was understandably not happy, he captured John Williams' essence amazingly well. Everyone, cast and crew, worked every hard in all aspects of the production and I am grateful to each and every one of them. Last year Blasted Behavior won "Best Foreign Sci-Fi Short" in the New York International Independent Film Festival and now it is about to be screened at Dragon*Con. I am thrilled and proud.... now if only I could find a hotel room. Back in 1990, I was standing in line at the checkout of a supermarket. In the pre-digital age, I had no device to check my emails while waiting. I had no choice but stare at the wall of tabloid magazines vying for attention. I hate tabloid magazines. Every year there is an end of the world prediction. No one ever calls them on it when the world doesn't end. And it's anti-climactic. Trawler Picks Up Young Woman Dressed In 1900s Clothes! She Thinks It's April 15, 1912 - And Her Dress Is Still Wet! Titanic Captain Found In Lifeboat! He Thinks It's April 15, 1912 - And His Pipe Is Still Lit! And there was also: Titanic Descendents found Living on Iceberg. It was all laughable and lame, but the first one that I had seen had struck a chord with me. I knew it was a load of crap. But I was very familiar with the Titanic, having studied the ill-fated ship in great detail out of interest alone. The wheels started turning in my head... What if? What if that really happened? It would make a great movie... in a Twilight Zone kind of way. So I wrote it down in my notebook - remember old fashioned spiral-bound notebooks and pens? All I'd have to do now is come up with characters, plot and a reason for such a bizarre thing to happen... hmmm. I would have to mull that over. Sixteen years later, I decided to enter the 3-Day Novel Writing Contest. It's such an insane idea to produce a decent story in 72 hours, I wanted to see if I could do it. I was allowed to prepare an idea and even an outline but no allowed to do any writing until the clock started. When I paid my $50 entry fee, I had no idea what I was going to do. I looked through my filing cabinet (junk) drawer and found my old notebooks. Skimming through them I found my scribblings of the headline, "Titanic Survivor Found on Iceberg". At this point in my life I had a one-year old daughter. Having a child changes your whole life's perspective. There is nothing I wouldn't do for my daughter to protect her. I would sacrifice my life and if it were possible, I would bend the laws of time and physics for her. From that, the plot for my story began to evolve. I completed the story over that 72-hour period. It was rough... not only the process but the writing itself. It was just under 70 pages. Which such an insane timeline things like elaborate character development and scene description go out the window. So do grammar and spelling. Still, I was pleased that I did it. I had planned to expand it to a proper novel and was going to do so in 2007 but the first three chapters of this novel got me another gig: working for the next few years on the novel "Dracula the Un-Dead". It started out well but there were too many cooks in the kitchen and, in my opinion, it eventually disintegrated into an unholy mess. Though I was pleased with my 'work', it was a huge learning experience in how the publishing world worked and it opened doors for me. I was proud that it was on the New York Times Best Sellers' List and many reviews praised my historical research. Moving on, I was then encouraged to expand my short 70-page (17,000 words) story into a full novella. I did so - it was up to 26,000 words. Then my literary agent read it, loved it and felt it would do better as full-length historical-thriller novel. She suggested at the very least 60,000 words but preferred over 80,000. That's a massive expansion. Armed with notes and suggestions from her, I restructured and re-wrote the novel, adding another storyline inspired by a true unsolved murder from 1910. The novel was over 90,000 words when finally completed. From a tabloid headline 20 years ago, to this stack of paper pictured here. Inspiration can certainly come from anywhere. What a great journey! Manuscript for The Depth of Deception. UPDATE: (April 2012) My novel Depth of Deception (A Titanic Murder Mystery) can now be purchased at an introductory rate of $0.99 from Amazon at http://www.amazon.com/dp/B007O3IKTY as well as in other e-book formats from Smashwords at https://www.smashwords.com/books/view/144531. Wishing a safe and Happy Independence Day to my American friends and colleagues. So this is my blog. I guess the proper thing to do is introduce myself. My name is Alexander Galant and I am a... hmmm this is the part when I reveal my occupation or profession. Yet that had continued to change and evolve over the years. For a while I was directing short films and stage productions. Did well at both... enjoyed doing it immensely but the money was little to nothing. I never aspired to become a writer. (Although I never wanted to be a director either but found I enjoyed doing so.) I started writing out of necessity. Most of my short films were self-financed and I was too cheap... er... frugal to pay for the rights to published work so I wrote for myself. It suited me fine. Most of my films won awards and I still don't have to pay the writer. The problem was that more ideas kept coming to mind. I would jot down some notes and sometimes those ideas would get expanded. The Depth of Deception, my latest work, had sat in the back of my mind for 15 years before I wrote it out as a short story. Now I have finished expanding it into a full length novel (over 90,000 words). So, as my agent is currently sending that novel to various publishers, I have to finally admit to myself that I'm... a writer. Does that mean I'm no longer directing? Well no... and I have recently given it a lot of thought. Then it occurred to me: (truth be told, it was pointed out to me by my beautiful, brilliant, straightforward and talented wife) I enjoy telling the story. Whether on stage, on screen or on a page, I tell the story. So, my name is Alexander Galant and I'm a storyteller.